Today is my third and last showing of work made with ceramic beads by Lisa Boucher of Clayworks. 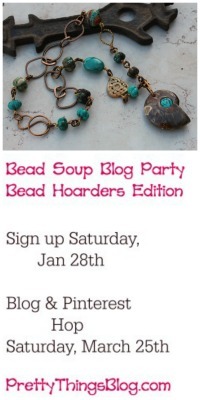 You can read more about the Cup of Bead Soup project by clicking here. All of the pendants Lisa sent me had an ocean them, so when I picked up the pendant with the double Atlantic auger shells on it, I knew I had to really play up that beachy theme. I've had these wild vertagles shell wheels I bought from Beads and Pieces for a long time, and I finally figured out what to do with them -- make a fringe for the auger shell pendant. 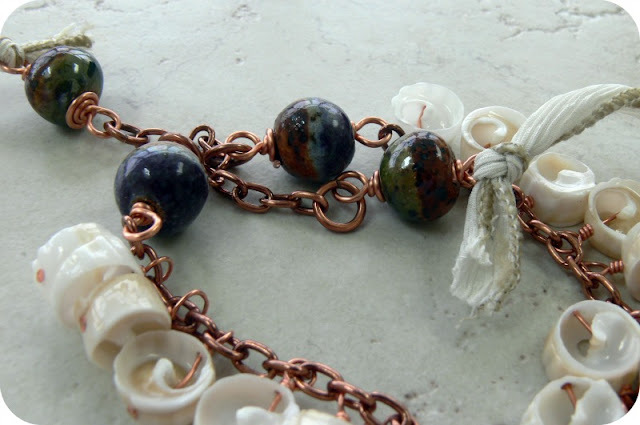 I chose some copper chain from Ornamentea and set to work. After a lot of wire wrapping, I added four of the ceramic accent beads Lisa sent, and finished everything off with some silk ribbon. 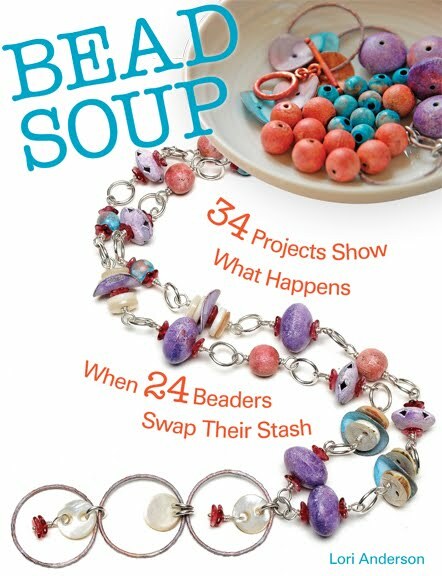 I learned a lot with this Cup of Bead Soup. I tried some new things, and I still have a ways to go with the fiber techniques. I don't come naturally to fiber, but I'll keep at it when the right beads come along, and I believe that Lisa's pendants and beads are a natural fit. That is a really nice pendant. The glaze colours are beautiful. I love the silk ribbon on this and the way you put in the shell fringe. 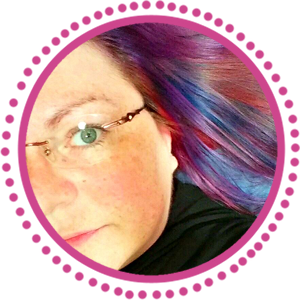 It's good to step outside of your comfort zone every once in a while! That is some beautiful bead with the shells! Great combination of colors and textures. I like how the shells frame the chain and also how you used the beads at the top--and the fabric! You've given me ideas for how to finish some pieces where I don't want too much chain. 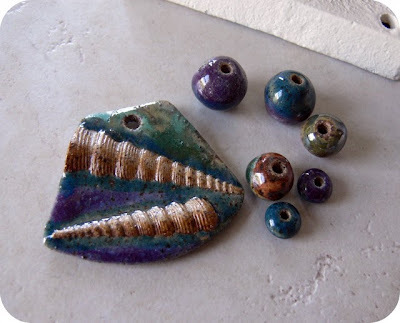 Your beachy theme is perfect for these ceramic beads. 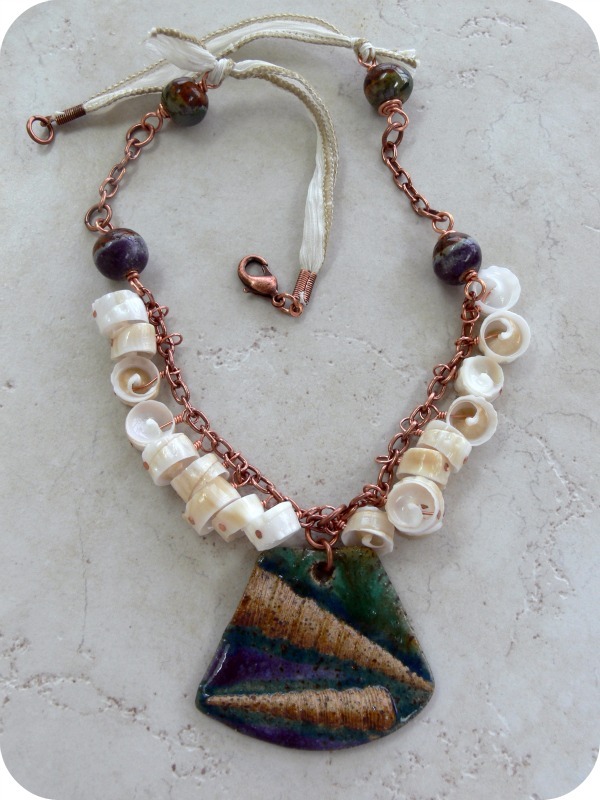 The copper is a wonderful balance to the colors of the shells. Very thankful health is finding its way home. Love the mushrooms in the garden. That turned out so great. I've been wanting to try some fiber with my items, but never sure what to do with it. You always inspire me. Now just to follow through. :) Congrats. Great looking necklace! I love the pendant and the way you combined it with the real shells. The focal does look like shells in a tide pool. Love the fringe!!! Ohh, I love the ribbon you added to the piece. It gives it the special touch. Gorgeous! 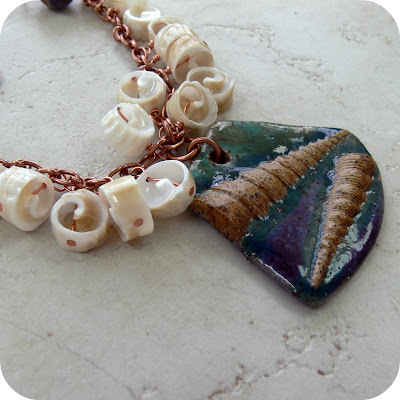 Ah the seashore, nothing better or more relaxing and you've captured that in this necklace. 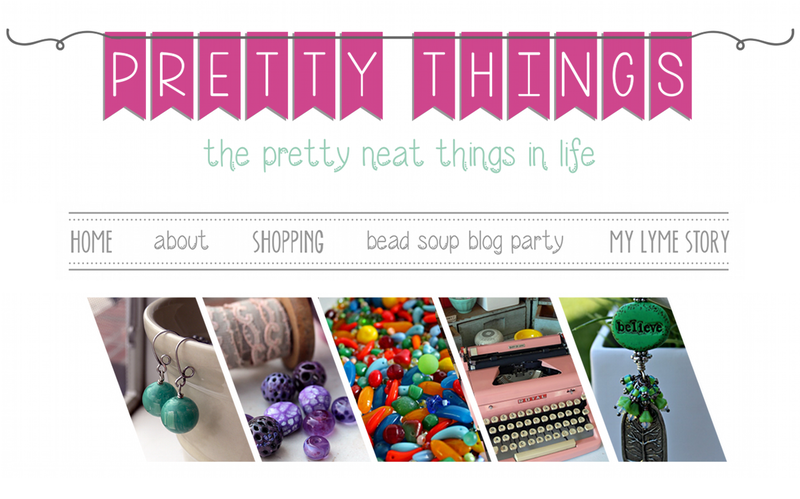 This necklace is incredibly playful! Great job! That is one of the most beautiful pendants I have ever seen!